San Francisco is a city known for a lot of things: cable cars, political activism, a vibrant arts scene. One annual event has been bringing these things together for 12 years now. 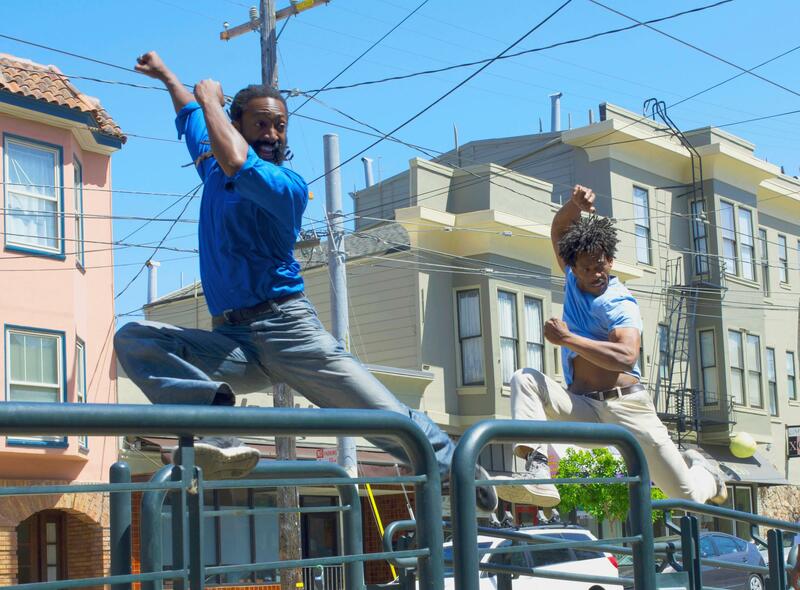 Every October, the free outdoor dance festival known as San Francisco Trolley Dances takes audiences on guided tours on public transit with live performance. It’s two days long, with six tours a day. On each tour, audiences ride the streetcars with a guide who brings them to various locations near MUNI stops. 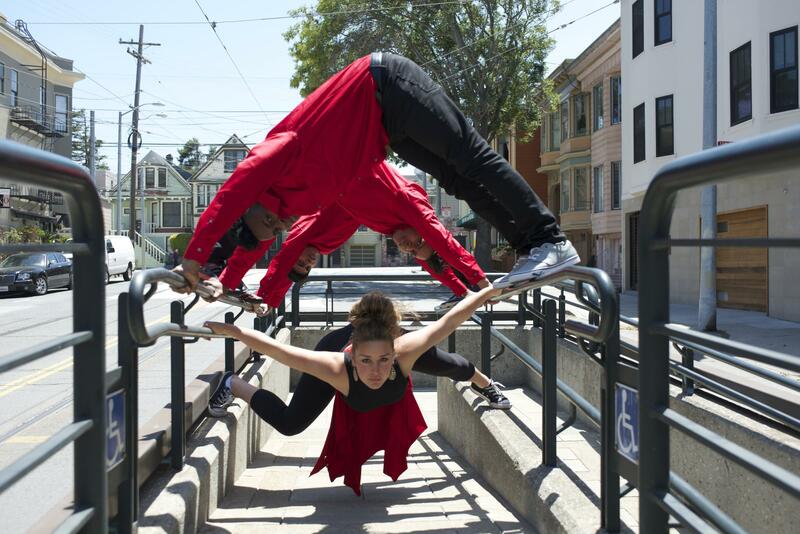 At each location, a different dance group performs in a different style, from aerial to modern to hip hop. This year’s event runs along the T streetcar lines. Choreographer Kim Epifano directs the whole event, and has since it started. She says she was inspired to start San Francisco Trolley Dances after she performed in San Diego’s event of the same name, which began as a partnership between a cash-strapped choreographer and a transit district eager for more riders. Over Epifano’s 30-year career as a dancer and choreographer in San Francisco, she’s done stints with radical performance troupes like Dance Brigade and Contraband, making political art in the streets. So this kind of thing was right up her alley. MUNI officials don’t play an active role in the performances themselves, but the agency does provide advertising, space, and support. It’s an unlikely partnership between public art and public transit—one that Epifano says has broadened her horizons as an artist. And the process of making a dance piece for a specific public space—a street corner, a library, the courtyard of an office building—means getting to know people you might otherwise pass right by. Epifano says it’s about building a relationship with the space itself. Francisco Arroliga is a computer science major at City College, and a member of the on-campus dance crew “Strong Pulse” which is performing in Trolley Dances this year. He and a partner are working on a sinuous, hip-hop-inspired dance along and on top of some long, curved stone benches. It’s a popular hangout spot at City College. Arroliga says he hopes the performances will give audiences a similar shift in perception. At the other end of the Trolley Dances route, on 30th Street in Noe Valley, Ramon Ramos Alayo and four of his dancers rehearse on the sidewalk in front of a colorful mural. Cuban danzón music plays from a small speaker which Alayo holds out in front of him, aiming the sound toward the dancers. They’re doing a fusion of Cuban and modern dance. Their hips switch back and forth as they execute fast and fancy footwork in their sneakers. Alayo says site-specific work can make an audience see a place differently. And the fact that that place is outside of a theater may make audiences see dance itself differently. Trolley Dances director Kim Epifano says she thinks putting art up front and bringing it directly to people is an important statement. “It’s for everybody, it’s not a specific group. So it keeps the art intact in the city,” she says. San Francisco is undergoing a dramatic transformation these days. And by strengthening people’s connections to the places where they live with projects like this, maybe art can help keep the city intact. Choreographer Namita Kapoor grew up in the East Bay town of Moraga, dancing jazz, tap, and ballet. She says, at the time, there were no dance classes in her surroundings that reflected her Indian heritage. 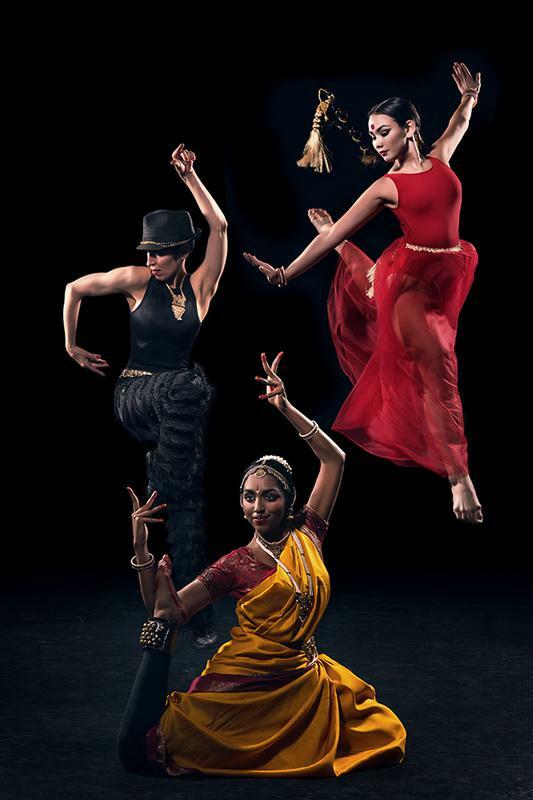 It was when she went to college that she discovered Indian dance, and as she did her research, she discovered a fascinating link between classical Indian dance and American Jazz dance. In the 1940s and 1950s, theatrical jazz dance legend Jack Cole invented a dance form called Hindu Swing: jazz dance that draws on ancient Hindu tradition and form. You may remember this from dance numbers he choreographed in films like the 1955 film Kismet. Keeping memories of Chinatown alive -- and kicking! From the 1940s until the 1960s, San Francisco’s Chinatown was home to a thriving Chinese American nightclub scene. The clubs had names like Forbidden City, the Chinese Skyroom, and the Shanghai Low. 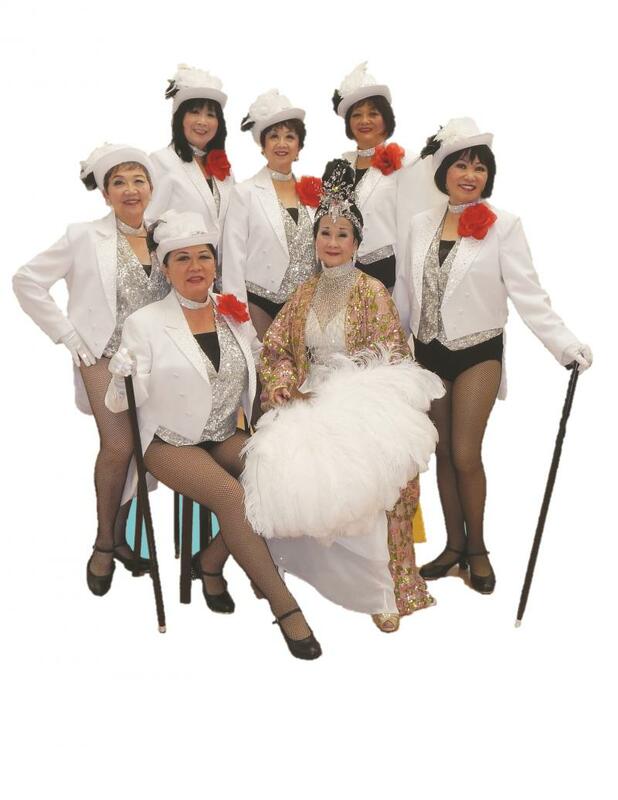 They had showgirls, ballroom duos, comedians, jazz singers, and magic acts -- all featuring Asian-American entertainers. These clubs had wide appeal: celebrities like Bing Crosby, Duke Ellington, and Lauren Bacall were all spotted over the years, along with tourists, businessmen and locals. 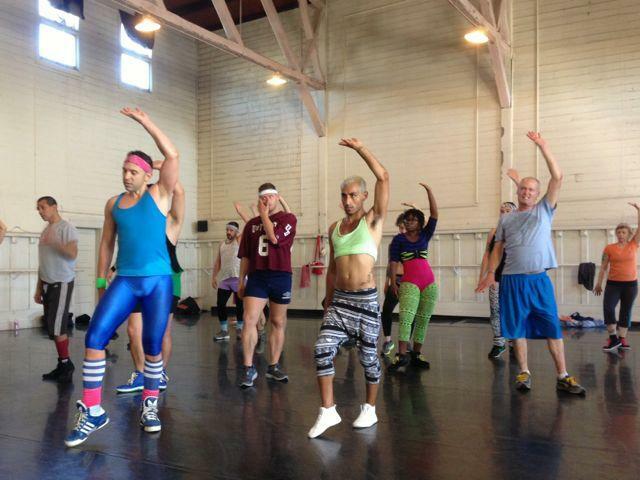 On Sunday mornings in the Castro neighborhood, there’s a place where rhythm reigns. Dancers pull out their leg warmers, spandex, and fluorescent headbands for Sunday Skool — and with the right accessories and a lot of attitude, their dreams of being a backup dancer for a day come true.